Remember how the stress buster massage ball of the 90s became a sensation for use in treatments and therapy? 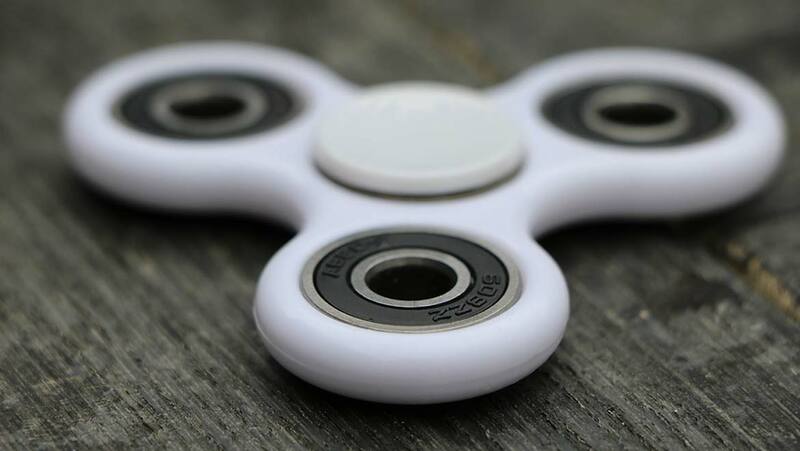 Likewise, the last few months have seen popularity soar for a device called the fidget spinner, named simply because it spins when you fidget with it! Kids can’t stop playing with this new toy, whilst some parents, teachers and experts are calling it a distraction (to the extent of imposing Fidget Free Zones and bans). We also can’t help but wonder whether it is advantageous, at all, and whether or not these spinners actually have any science behind them. So, let’s analyze these controversial devices from the beginning. Small, colorful collectibles that typically consist of three parts: blades, a central disc and ball bearings. It is a simple mechanism of when the user flicks the arms, it rotates around the axis and keeps going as long as there is momentum. They're being sold for about $3-$6 in most major toy stores and online as well. There are many theories of how fidget spinners came into existence but the most common one is that it was ideated in the 1900s by Catherine Hettinger of Florida. She designed it as a means to keep her daughter entertained, and also to relieve herself of symptoms of a muscular disorder, myasthenia gravis. After many designs and redesigns, she ultimately gave up due to high costs and rejection by Hasbro. Also leading up to the creation of today’s product is the case of Scott McCoskery prototyping the Torqbar, which was two-armed instead of three. A few years later, a Kickstarter project, ‘Fidget Cube’ was released that was a more complex version of the current spinner. Its purpose, not limited to leisure, is believed to include assistance to autistic, anxious and hyperactive individual. It is also stated that it acts as a sensory material for better hand-eye coordination in pre-school children and can help improve movements like twirling between the fingers, holding, manually increasing speed, throwing and tossing. Apart from this, the act of fidgeting apparently stimulates the brain cortex to tap into regions of control and planning. Some people understand that it could really improve concentration and creativity levels. If nothing else, it at least enlightens kids about concepts in physics — speed, velocity, friction, load and such.